Mumbai is a melting pot of a very diverse range of cuisines, both regional and international, catering to a very diverse population of people with different tastes and income. The polyglot character of the city and its wealth are reflected in a dazzling array of restaurants; from the best and most expensive restaurants serving Indian and International cuisines with a fine dining approach, and round the corner some small joints and hole in the wall eateries with the most authentic flavours with a more…you can say rustic approach. 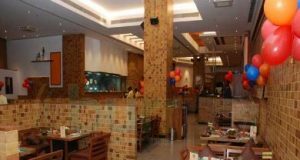 Deciding where to eat out can be quite daunting with the number of options you have in any part of Mumbai. 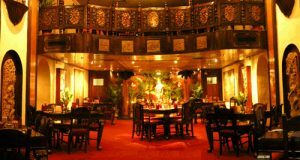 $$$:expensive/luxury restaurants (Rs.600 and above per person). This no-nonsense, no-frills, 90-year-old Irani (Persian) restaurant is the last of a dying breed of establishments once found on every corner of South Mumbai. The environment is simple and functional, with little room for extras like presentation and ambience. Most people come here to consume one or more of three excellent dishes: Berry pulao (a version of the Iranian zereshk polow) is the outstanding signature dish, made with succulent spiced boneless mutton (or chicken), fragrant long-grain basmati rice, and tart barberries imported from Iran. Patra ni machchi is pomfret fish coated in chutney made with cilantro, coconut, and assorted spices; wrapped in a banana leaf; and steamed — always moist and flaky with flavors all the way down to the bone. The mutton dhansak is a combination of fragrant brown rice and thick dal in which the meat has been cooked — a dense, hearty meal that tastes a million times better than it looks. Vegetarians, though catered to, should give this restaurant a miss. Lunch only, closed Sunday. Ask any local in Mumbai what is a good seafood restaurant, and you are likely to hear “Gajalee” as one of the places to go. The restaurant specializes in the Malvani style of cooking, which uses coconut and red chilies as a base for many of their dishes. No meal is complete without their exquisitely crisp and flaky Bombay duck which, believe it or not, is actually a fish (unique to Mumbai’s shores. If you are fond of crab, that’s a specialty of the restaurant. Indian seafood specialty restaurant; though non-seafood items are also available. It’s not uncommon to walk into this Colaba institution and not see a single Indian face around. Why it’s such a hit with foreigners is a mystery, since the food is good but not exceptional, and the atmosphere can be noisy and rather smoky. All the same, it is consistent, and because it’s one of those popular places where tourists like to share stories with other tourists over a beer, it deserves mention. The large open-plan dining room is an atmospheric place to enjoy Chinese, Indian and continental food – the tandoori and Irani dishes are particularly good. Come early for dinner then settle in for the evening with a beer tower (three pints in a glass canister) or a bottle of Indian wine. 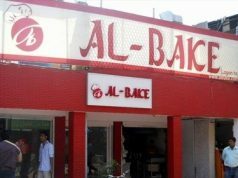 It caters to Western tastes by providing items like cereals, eggs and toast, fish and chips, and club sandwiches side by side with chicken biryani and Indian-Chinese fare. The fresh fruit juices and lassis (yogurt drinks) are always a good bet if you’re looking for a light pick-me-up during shopping forays on the causeway. 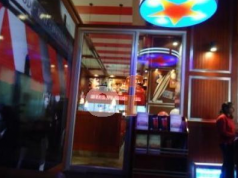 And if you’re keen to get the inside scoop on how Bollywood films are made, hang out here; casting agents looking for foreigners to work as extras on current productions frequently scan the clientele for able bodies at this favored travelers’ hangout. The ceiling may be too low and the tables too close together, but this Manglorean seafood restaurant should not be missed if you love fish — it’s one of Mumbai’s best restaurants, consistently dishing out pleasing specialties. Everything is incredibly fresh, but favorites include surmai fry, pomfret curry, and tandoori pomfret — all outstanding. The latter (listed as a starter, but you can order it as a main) is served flawlessly moist; eaten with butter naan, it provides the most heavenly gastronomic experience imaginable. Also try the scrumptious prawns Koliwada, crab tandoori, pomfret in green masala, or any of the fish curries or gassis, all first-rate. (Note that gassi refers to the thick, spicy, coconut-based Manglorean curry, while the “curries” on the menu are a thinner version of the same.) Mahesh also serves meat, chicken, and Chinese dishes, but only the misguided would come here and skip the sensational seafood. Come here primarily for the leisurely ambience and setting: a candlelit terrace with Arabian music playing in the background. 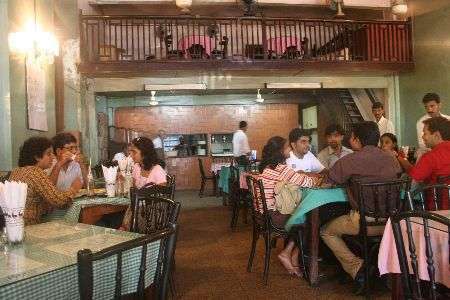 The restaurant is located on the rooftop of the Gulf Hotel in Colaba (torn down by the municipality in early 2005 for unregulated structures, but because it’s owned by the son of a local politician, it was up and running again within months). The most popular item on the menu is not food, but the sheesha (hookah or pipe), with fruity flavors like green apple and strawberry. For just Rs 100 ($2.30), several friends can share a pipe that lasts about 20 to 30 minutes. The fairly regular fare might be worthwhile just to enjoy the cool evening breeze (rare in humid Mumbai) and partial view. Or come after dinner relax, sit back, and linger over a “mocktail” (no alcohol is served). The atmosphere is laid-back and no one will hustle you out — but service can be painfully slow. Reservations are recommended; even then, expect a wait. The Rs 100 ($2.30) per-person cover charge is redeemable against your bill.Koyla serves North-West Frontier specialties, cooked over charcoal and seasoned with cinnamon, cloves, saffron and garlic. Pure vegetarian—no eggs, onion, or garlic—food at its hearty best. But even carnivores won’t miss meat here! This Hare Krishna restaurant offers sumptuous 56-item vegetarian thalis. Expect Lord Krishna’s food — that is, Vedic meals, which are cooked without garlic and onions. The management in fact advertises a “transcendental dining experience,” becuase the food served has already been offered to the gods and bhajans, joyful devotional songs, liven up your meal. On weekends and Hindu holidays the restaurant often organizes food fests. For more than 23 years, Copper Chimney has delighted those looking for the perfect kebabs. To this end, two pages of the menu are dedicated to kebabs, from the popular reshmi kebab (chicken) to the jhinga nisha (prawn) and tandoori prawn kebabs. 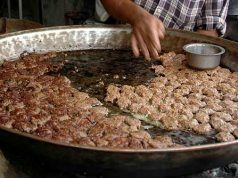 These tender, creamy, smoky-flavored, melt-in-your-mouth kebabs can be followed by traditional Dum Pukht specialties such as chicken makhani (butter chicken) or the even more exquisite Peshawari lamb. No matter what you pick, you will leave satisfied. There’s also a daily buffet lunch, but don’t be swayed by the variety — some of the best items on the menu (such as the unfailingly wonderful butter chicken) are not offered at the buffet. Note that although Copper Chimney branches are found all over the city, the one at Worli is the only one to patronize. This restaurant has been delighting Mumbai’s culinary buds for over a decade and a half. Nestled in a residential area in Mahim, this popular landmark restaurant serves up the best of Goa’s traditional cuisine, including authentic Portuguese dishes like Chicken Salvador and Caldo Verde soup. With a wait staff that dresses up in loose floral shirts and ‘sarongs’, and a live music playing at your table, the pleasure of devouring typical Goan Xacuti and Vindaloo is only heightened. Although most of the dishes are pure seafood and meat treasures, the veggies should not lose heart as a separate vegetarian menu ensures a host of wholesome (though limited) dishes which are equally delectable. The owners of the restaurant stop by at your table and see to your comfort…a little indulgence will make sure you pick only the best to suit your taste!